Purusha Ananda, after a career as an aerospace engineer, spent over eighteen years practicing the spiritual traditions such as Yoga, Sufism and Buddhism. Seeking ways to go beyond the limitations of theoretical or mental teachings, Purusha spent years traveling and living close to teachers in the United States, India, Nepal, Europe and South America. By observing how different spiritual masters lived the teachings and how they applied their learning to the situations that arise in daily life, Purusha was able to learn methods that bridge the theoretical and the practical. 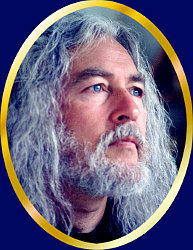 Purusha has studied and practiced meditation extensively over the past twenty years, developing the quiet sitting of the Zen tradition, the movement and sound meditations of the Sufi's and the engaged and integrating practices taught in the Dzogchen (Great Perfection) Tradition of Tibetan Buddhism. This breadth of experience allows Purusha to teach the art of meditation to all seekers, no matter what their current spiritual path or level of practice . . . explaining, adapting and suggesting practices that fit both the person and their circumstances. Besides his skill as a teacher of meditation, Purusha is an accomplished musician and artist, whose work focuses upon the harmonizing and blending of heaven and earth. Sharon Callahan has been nurturing and refining her connection to animals over thirty plus years. During this time, she discovered that by attuning and opening to a particular animal through meditation, she is able to receive feelings, thoughts, and images from the animal about his/her particular life situation. This unique ability has proven to be of great benefit in assisting animals in the ongoing process of balancing and harmonizing their physical, mental, emotional, environmental and spiritual needs. Her expertise in the field of animal communication has gained the respect of individuals, veterinarians, animal shelters and sanctuaries throughout the world. Sharon has recently published a book called Healing Animals Naturally based upon her pioneering work in the field of flower essence therapy for animals. 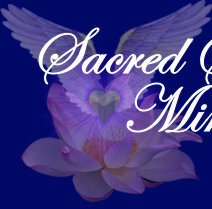 Her many articles on animals and spirituality have appeared in publications and books world-wide. Sharon is currently working on a biography and a book on animals and spirituality. 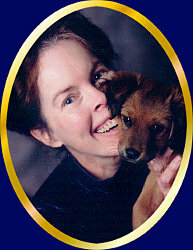 Besides her work with animals, Sharon has a world-wide reputation as a spiritual counselor for human beings desiring to actualize their full spiritual potential.